Ketamine addiction is an ongoing problem in the UK. Ketamine is a powerful anaesthetic, used to put patients to sleep for surgery. It is a ‘dissociative’ drug. This means ketamine addicts will feel detached from themselves and their surroundings. The drug also has painkilling, stimulant and psychedelic effects. Ketamine gives users a floating or detached feeling as if the mind and body have been separated, by reducing physical sensations of the body. Some people literarily feel unable to move. Ketamine addicts refer to this as “entering the k-hole”. They also sometimes hallucinate and can last from 30 minutes to several hours. Ketamine is a popular ‘club drug with very dangerous effect on its users. 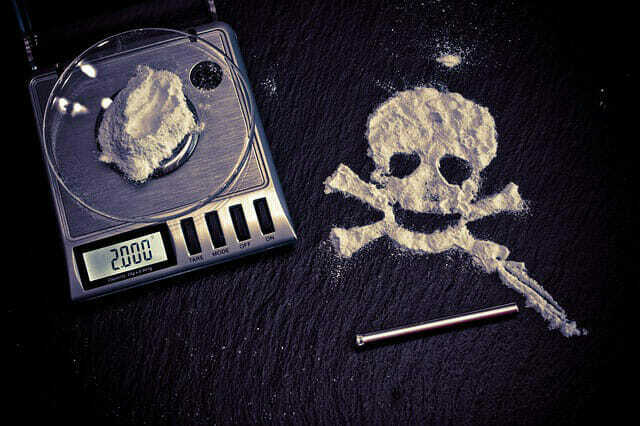 Combining it with other drugs such as MDMA and cocaine., even causes more harmful effects. The effects of Ketamine wear off quite quickly. It is also not as intense as other hallucinogens like LSD. This makes ketamine users develop a tolerance to it very quickly, resulting in psychological addiction. Impairment in short and long-term memory. Physical injuries can occur due to loss of orientation and inability to experience pain. Ketamine users may develop painful urination with urgency, haematuria (passing bloody urine) and frequent urination or incontinence. This condition is called Ketamine cystitis. The bladder may become severely damaged by ketamine such that it may have to be removed by surgery. The other parts of the urinary tract may also be affected. Ketamine addiction causes no physical dependency hence there is no need to undergo a medical detox treatment. Most management measures are supportive but an assessment by a doctor is still essential because of the potential physical and mental health effects of ketamine addiction. 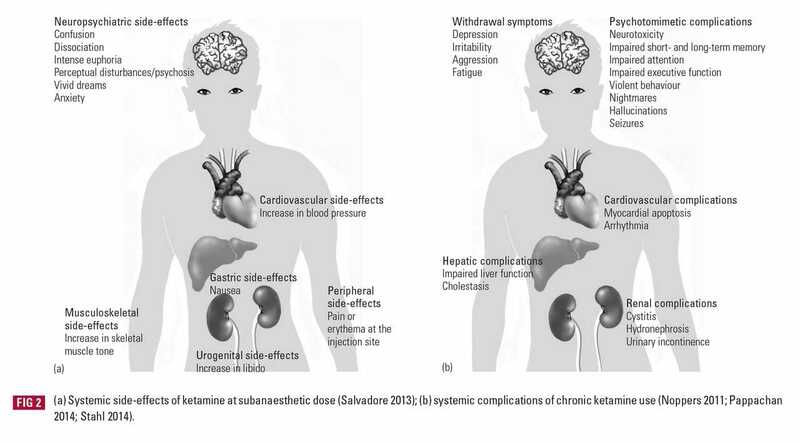 The treatment for Ketamine addiction depends entirely on the individual and the extent of the addiction. It is however general opinion that intensive psychological counselling and support is necessary for dealing with the psychological dependency caused by ketamine addiction. This is adequately provided in a rehab centre. Call Rehab Healthcare and our staff will carry out a telephone assessment of your needs and then signpost you on to the appropriate service for you.